Where's "Paris isn't burning" Starlight? If Quasimodo was told once he was told a hundred times that he needed to quit smoking. I've had a pretty bad weekend but this really takes the cake. 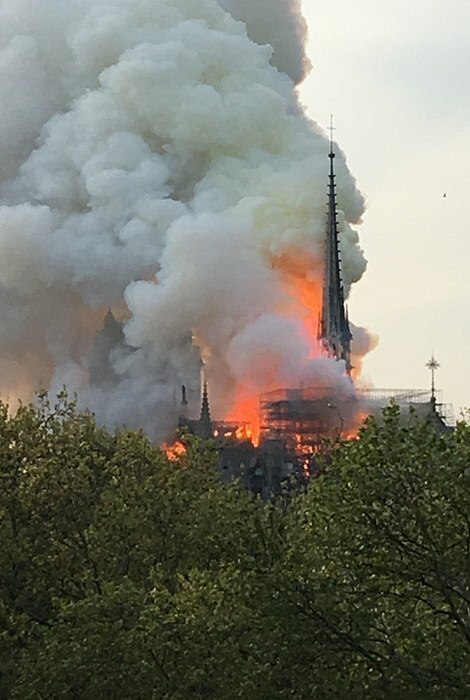 The spire has fallen and the entire wooden frame of the building is on fire. 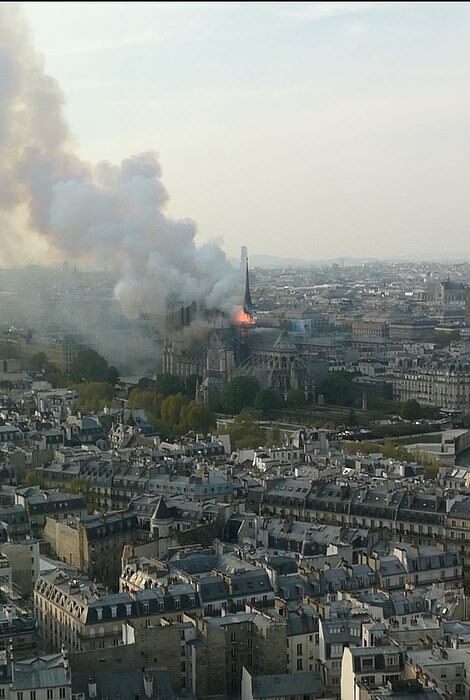 So sad to see a building that has stood for nearly 1000 years begin to fall. That was one of my most favorite places I visited last year. This is devastating! I wonder if it was deliberately set? Paris seems to be central to a lot of attacks over the years. I thought of that, as well. I posted an article about it in my thread about the persecution of Christians. And I wouldn't be surprised, if it were proven to be arson, if the perpetrators were not named in order to hide their nationality, as it seems the media has been doing over there. Only employees and workers can get into the attic area. They were doing construction when I was there last year, and apparently still were up to today.